Yay! 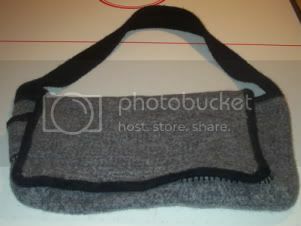 I finished the Satchel I made for Kris! I used Paton’s Classic Merino in Dark Grey Mix and Grey Mix (one strand of each held together) for the MC, and Black for the CC. Kris is very happy with it and took it to work today. And my younger brother called me today! He lives in California, so we don’t actually get to talk that much between the time difference and our schedules, but I actually talked to him for a whole 20 minutes tonight! Yay! And, for anyone who cares, I finished Harry Potter and the Half Blood Prince in 5 hours and 20 minutes. Went to Barnes & Noble for the release, met a cool knitting woman who I hung out with the whole time while working on a purple Baby Bobbi Bear. Got home around 1AM, stayed up all night reading, and finished it at 6:20AM. And yes, I cried (and if you don’t know why, I ain’t saying). I’m a dork, ok? 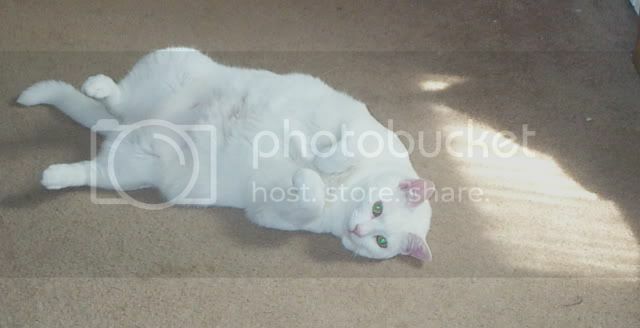 July 20th, 2005 | Tags: Beasts, FOs, Knitting | Category: Misc. 2 comments to Satchel is Done! 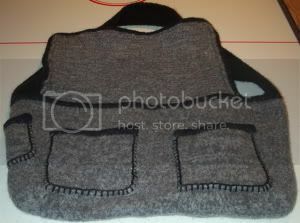 Hello–where did you get the pattern for your black and grey satchel that you made last year? I saw an old post on your blog.